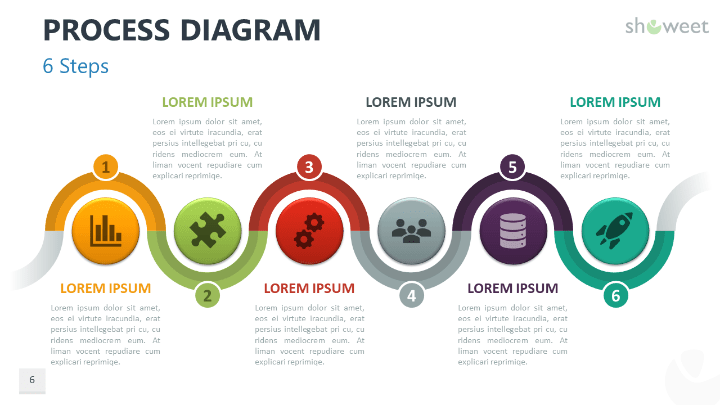 Sinuous, serpentine-shaped process diagram design made with block arcs and with a flat design effect. 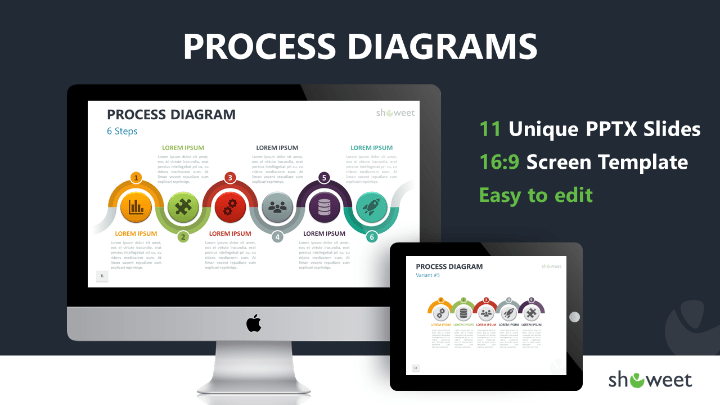 The PPTX document contains a selection of 11 creative custom-made processes with completely editable creative graphics and text with icon placeholders. 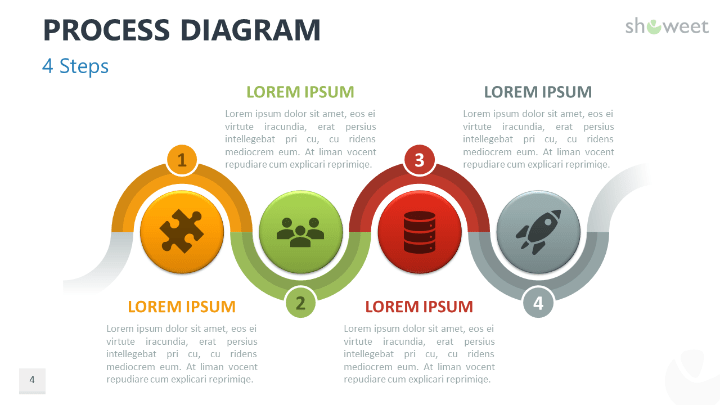 Just select your graphics among the 3 to 8-step option designs offered. 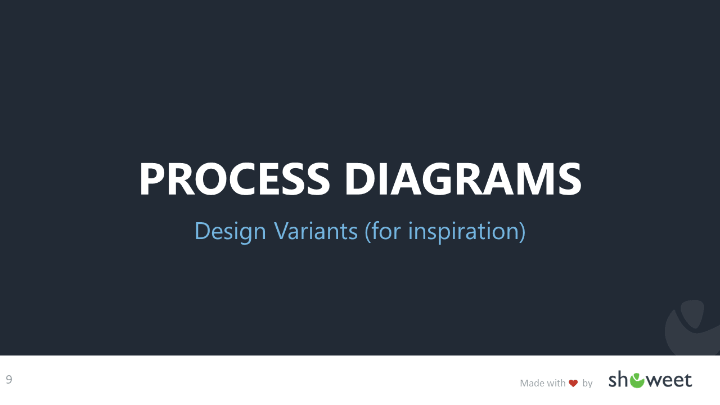 You can also use 5 alternative process diagram designs, created for inspiration. 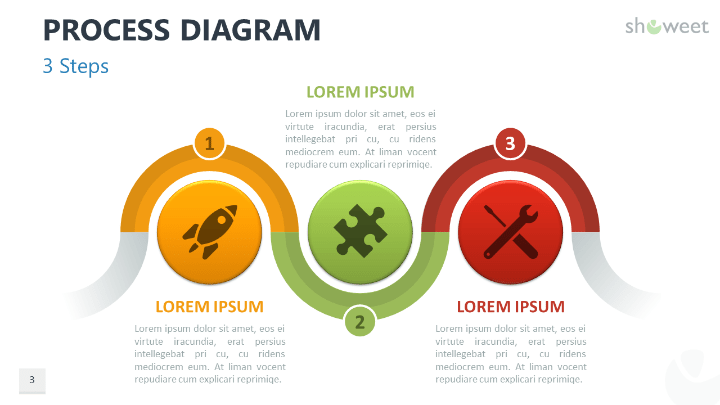 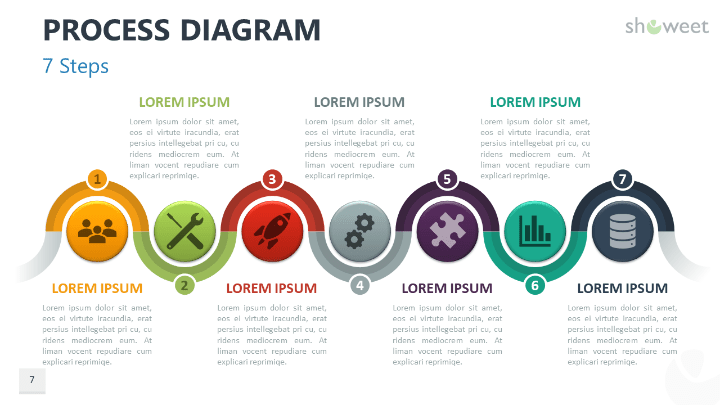 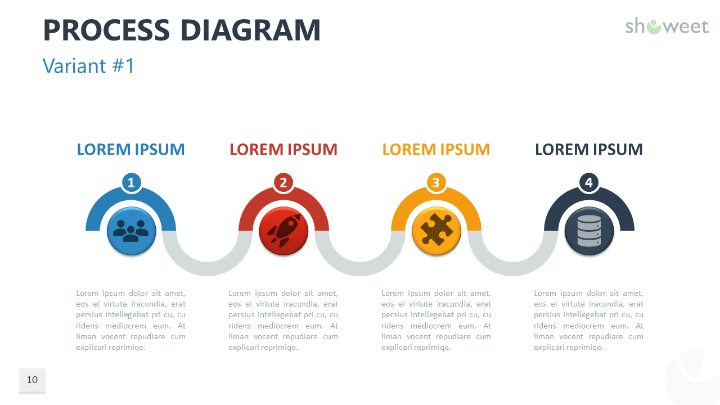 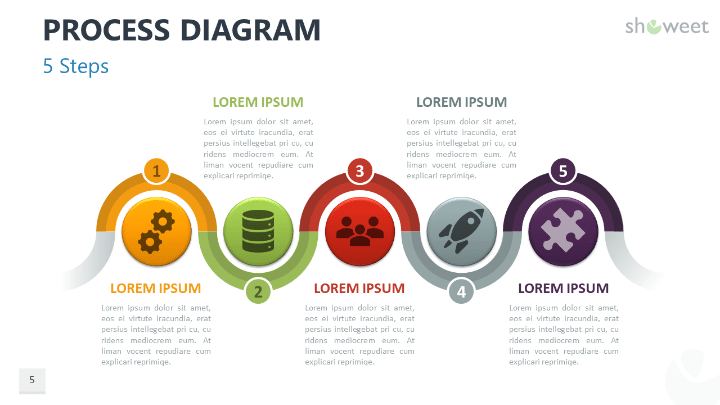 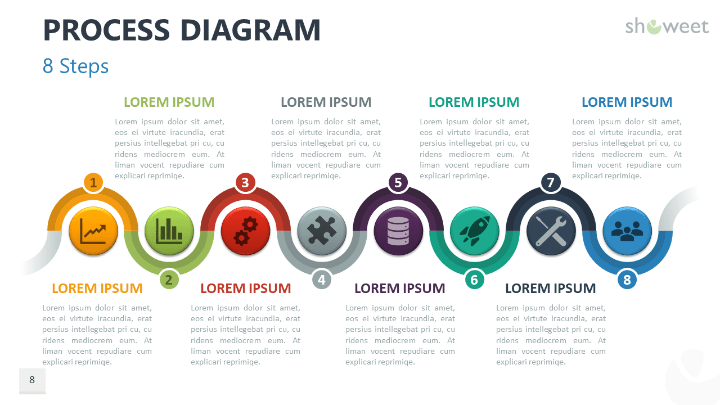 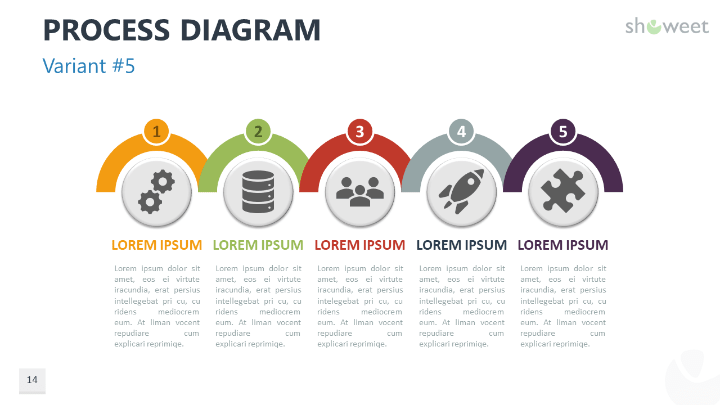 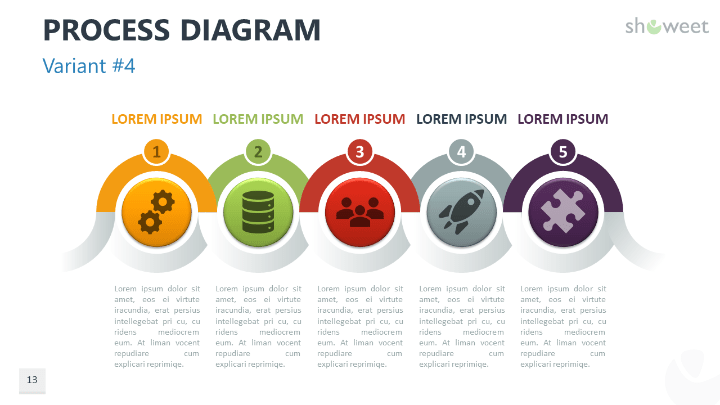 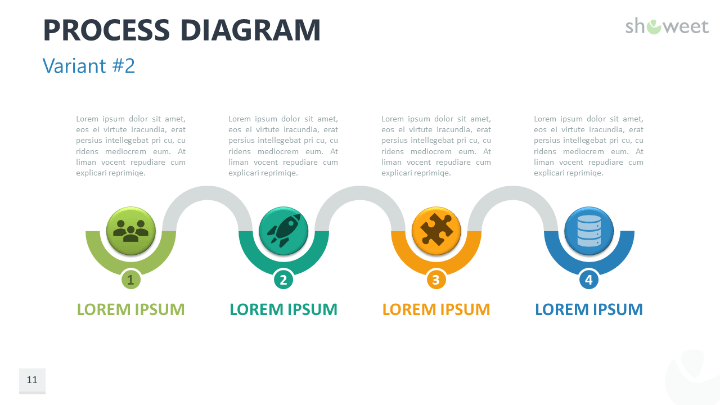 Download these ‘Process Diagrams for PowerPoint’ for free!